Come See Historic Preservation in Action! The Pasadena YWCA building, left vacant and neglected since the non-profit organization sold it to a Hong Kong investor in 1996, will soon have a new lease on life. After years of conflict between the owner and the City of Pasadena over the deteriorating condition of the National Register-listed building, the City acquired the property at 78 North Marengo in 2010 by invoking the law of eminent domain. Last week, the City issued a Request for Proposals from qualified developers for rehabilitation of this important landmark structure in the heart of Pasadena’s civic center. 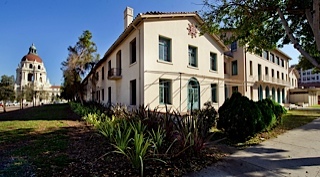 Built in 1921 as a YWCA center and residence for working women, the facility was designed by the famed Julia Morgan, California’s first licensed female architect. Renowned for her work on Hearst Castle in San Simeon, Morgan designed more than 700 buildings throughout the state, including the former Herald-Examiner building in downtown Los Angeles, the Asilomar Conference Center in Pacific Grove, and Mills College in Oakland. 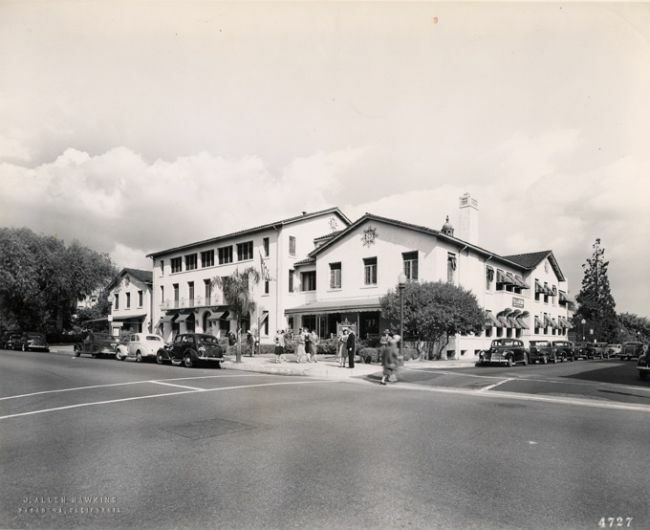 Two free tours of the iconic Pasadena YWCA building will be offered this week, on Thursday evening, July 19 and Saturday morning, July 21, marking the first time the property will have been open to the public in several years. Among the volunteer tour guides will be APG’s own Board President, Chris Olson, who had an office in the building during the 1980s. Each event will consist of two parts: an on-site tour of the facility (78 North Marengo Avenue, at Holly Street); and a subsequent presentation and comment session in the Pasadena City Council Chambers, at 100 North Garfield Avenue. Thursday’s tour goes from 6:00 p.m. to 7:00 p.m.; Saturday’s goes from 9:00 a.m. to 10:00 a.m.
Alhambra Preservation Group members and friends are invited to attend — and to witness firsthand — what a difference can be made by the inclusion of a preservation element as a vital part of a city’s general plan. This is historic preservation in action! Photos courtesy of J. Allen Hawkins and the Pasadena Star News.